Want something different for dessert tonight? 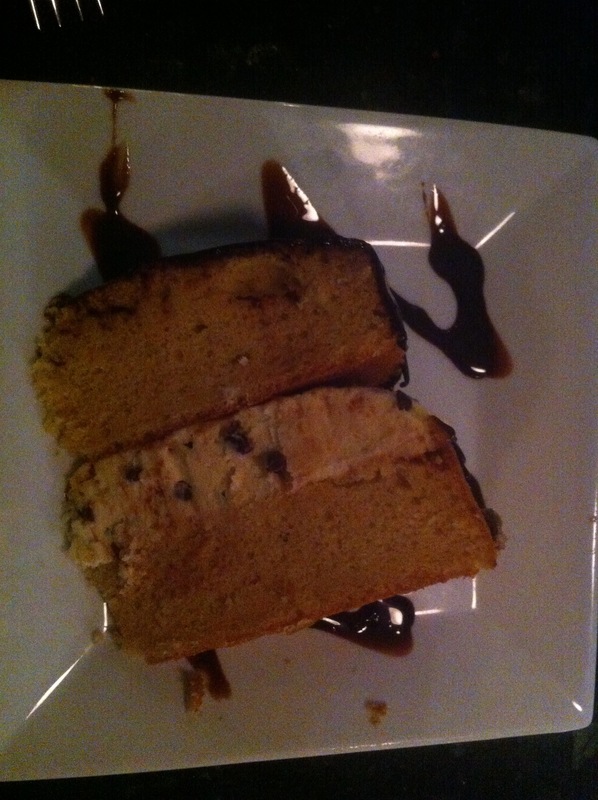 I give you the Cannoli Cake at Figs Wood Fired Bistro in Newtown. 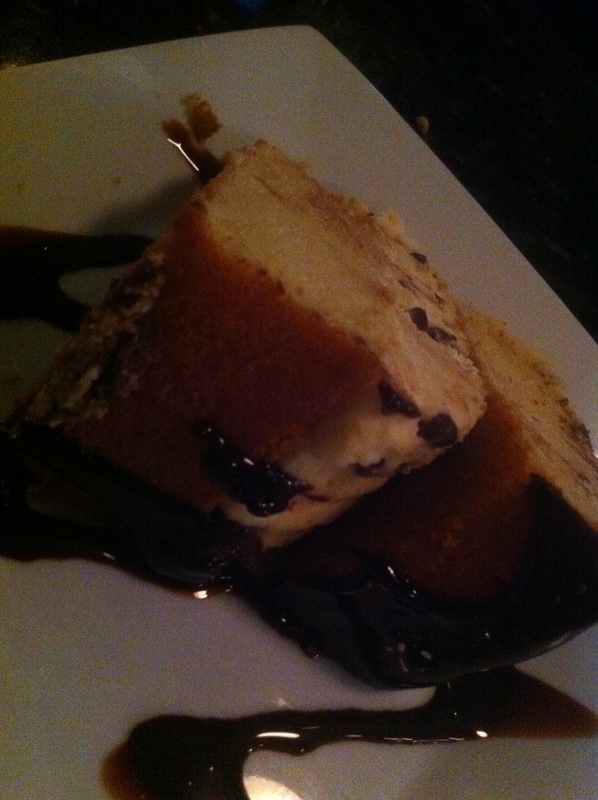 The Cannoli Cake at Figs is a housemade layered vanilla cake with a traditional cannoli filling with chocolate chips in the center and topped with a chocolate ganache. The plain vanilla cake balances the rich cannoli filling and the sweet ganache. 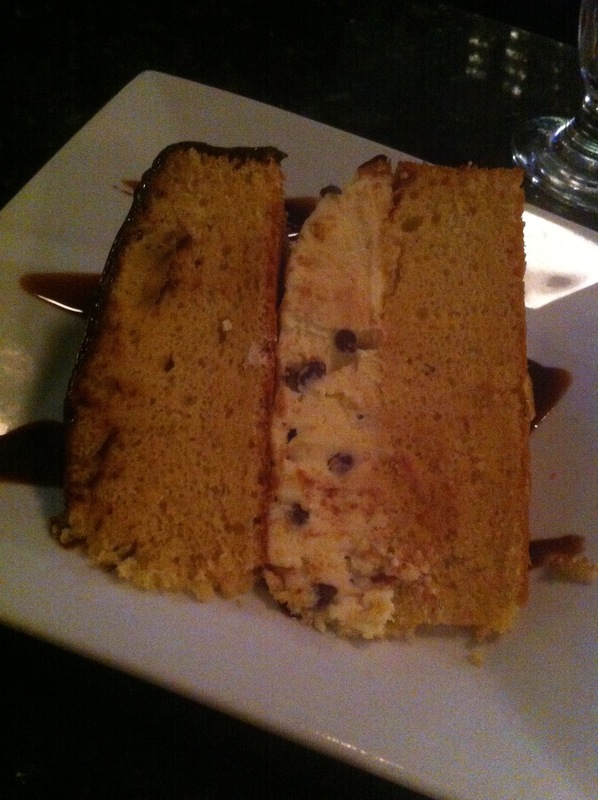 The Cannoli Cake is colossal in size and is perfect to share between two people.